Handcrafted forged iron style furniture range reflecting the timeless tradition of iron. Available in dining table – rectangular, round and oval, dining chair, carver chair, lounger, single seater, two seater and footstool. Classic style handcrafted furniture finished with meticulous attention to detail and defined character. Available in dining table, dining chair, carver chair, coffee table, side table, media unit, ottoman, stool and recliner. Traditional style handcrafted furniture finished with meticulous attention to detail and defined character. Available in dining table, coffee table, console table, side table, media unit, mirror, standard lamp and stool. A modern range of both indoor and outdoor furniture with minimalist sleek lines, an ideal complement to any contemporary setting. Available in dining, coffee, console and side table. Originally designed in 1938 by an Argentinian Architect Jorge Ferrari Hardoy and his friends Antonio Bonet and Juan Hurchan, the Butterfly Chair continues to be popular world-wide. Ironcraft’s Butterfly Chair is galvanised for outdoor use, powder coated, and the cover is sewn using Sunbrella outdoor, marine grade fabric. Hand forged in classic european design and finished with meticulous attention to detail, Camelot will provide an uncompromising ambience to your decor. Camelot furniture is available in coffee, console and lamp table, ottoman stool, and wall sconce. Discerning with classic French design and traditional form, Clichy will compliment any setting to provide an uncompromising ambience to your decor. Handcrafted, Clichy furniture is available in dining table – rectangular and round, dining chair, carver chair, coffee table, console table, occasional table, side table, headboard, tailboard, mirror, floor lamp, table lamp, coat stand and media unit. Handcrafted furniture range in traditional forged iron style. Available in dining table – rectangular, square, round and oval, dining chair, carver chair, casual 2 and 3 seater, casual armchair, coffee table, console table, side table, nesting tables, bakers stand, media unit and mirror. Contemporary outdoor range with strong clean lines and simple design. 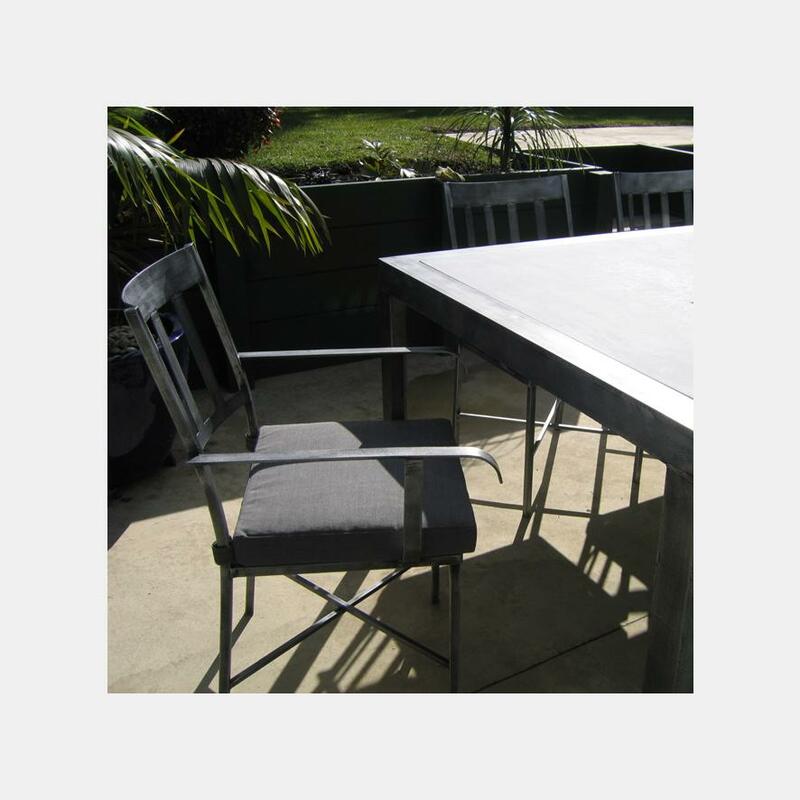 Available in table, dining chair, carver chair, bar leaner, bar stools, bench seat, garden chair and recliner. Our Fishtail furniture range is hand crafted and finished with meticulous attention to detail and defined character. A treasure today for a lifetime of enjoyment. Available in breakfast table, dining table, dining chair, carver chair, bar stool, coffee, console and side table, head board and tail board, mirror and wall sconce. Designed to complement every home from the traditional villa to a modern Tuscan style, French Provincial outdoor furniture is “hot dip” galvanised to ensure long lasting quality. Available in table – rectangular, square, round, breakfast, dining chair, dining carver, garden seat, lounger, coffee, console and side table. Classic Mediterranean style furniture creates a relaxed atmosphere while still demonstrating a touch of class and timeless design. Available in dining table, dining chair, carver chair, coffee, console and side tables, floor lamp, headboard and tailboard. 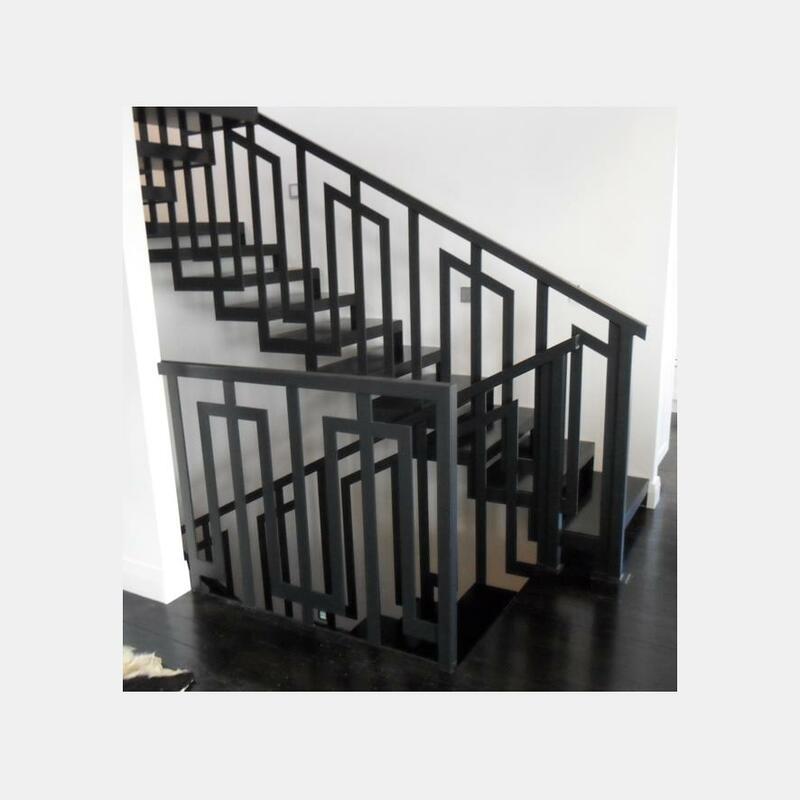 Stainless Steel frame with inset panels of glass or timber. Available in dining, coffee, console and side table. Contemporary indoor or outdoor furniture with a simple cross feature designed for comfort with a strong overlay or inset panel table top. Available in dining, coffee and lamp table, dining chair, carver chair and bench seat. Manhattan table range is manufactured in either a stainless steel frame or mild steel frame with powdercoat finish. Also available in the Manhattan range are Audio Racks, Television Racks and Speaker Stands. Stunningly designed handcrafted furniture range comes with rich American oak. Truly timeless with a soft Moroccan influence. Available in dining table, dining chair, carver chair, coffee table, console table, side table, bakers stand, media unit, mirror, floor lamp, table lamp, headboard, tailboard and stool. Comfort and style is the emphasis of this Pacific styled setting designed for relaxed entertaining. As every piece of furniture is handmade, we are able to offer the flexibility of size and height. Available in lounger – single and two seater, footstool, coffee table and side table. A timeless robust range, deriving its name from the design of the table leg which replicates the Roman numeral 10. Steel frames are handpaint finished in your choice of one of our 18 different colour options. 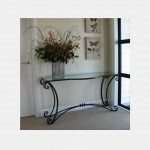 Available in dining, coffee and console table. Elegant simplicity of Oslo furniture compliments any setting providing subtle style to interior decor. Available in dining table – rectangular, round and square, dining chair, carver chair, stool, occasional, coffee, console and side table, , media unit, floor lamp, table lamp and mirror. Designed for the smallest deck or spacious patio alike. 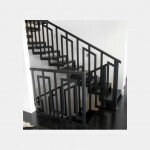 This setting demonstrates an elegance which will enhance both a modern or more traditional setting with ease. Available in powdercoat or hand paint finish. Featuring oval and round tables, Ovalete is the ideal size for the patio, apartment balcony or even sunroom. Available in dining table – oval, breakfast, round, dining chair, dining carver, barstool and garden seat. 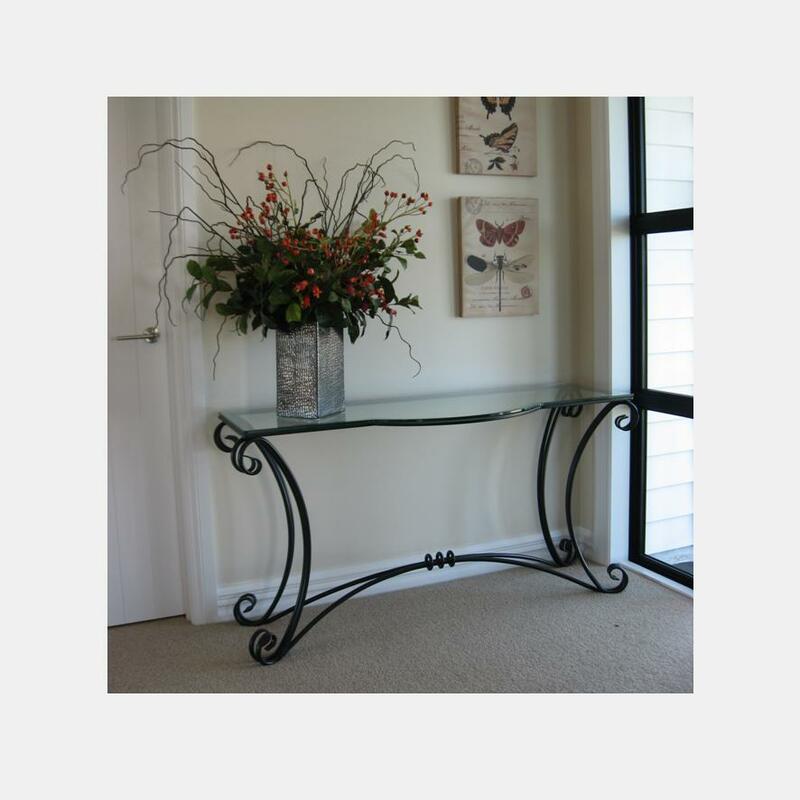 Elegant design wrought iron style furniture, hand forged with simple curves suitable for both indoor and outdoor use. Available in dining table, dining chair, carver chair, bench seat, coffee table, side table and lounger. Providing a timeless addition to your decor, our Persian range of furniture has a subtle curve detail as a design feature. Available in breakfast table, dining table, dining chair, coffee, console and side table, wine table and mirror. 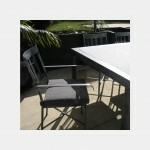 Stainless steel frame furniture collection with inset or overlay table tops. 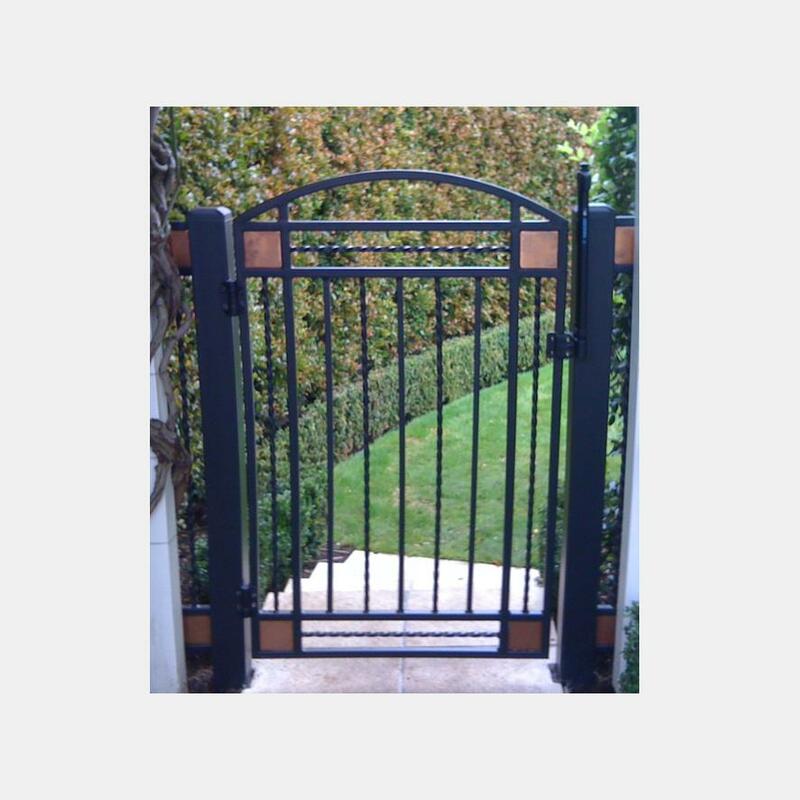 Manufactured in standard range of sizes and can also be custom made if required. Available in dining table, dining chair, bench seat, coffee, console, cube and side table, bar stool and mirror. Rakino is manufactured in three styles, N-Cube, Coffee or Console table. Robust and topped with 12mm glass, these industrial look tables have a converse leg design and are finished in “Aged Iron” hand paint. Powdercoat finish mild steel tables with clear, frosted or coloured glass tops. Manufactured in dining, coffee, console and side table sizes. Also available in the Sonata range are Audio Racks and Television Racks. Contemporary stainless steel indoor furniture. Negative detail element between the table surface and frame creates the illusion of a floating top. Accessory tables have a floating glass shelf. Available in dining, coffee, console and cube table. Understated elegance of Versailles furniture range will complement any setting to provide uncompromising ambience to your decor. Available in dining table, dining chair, carver chair, coffee table, console table and side table. Contemporary design featuring juxtaposed legs with serpentine flange and skirt detail. Available in dining, coffee, console and side table. Ironcraft Window Boxes are manufactured under the Cottage Brand. We have 14 different window box designs in our standard range and can also custom make to your own design. The variety pictured here are just an example of the range of bespoke Window Grills Ironcraft has manufactured. 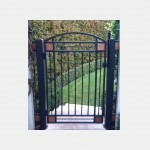 Be it decorative or to provide security to the home, we can custom make to your own requirements.